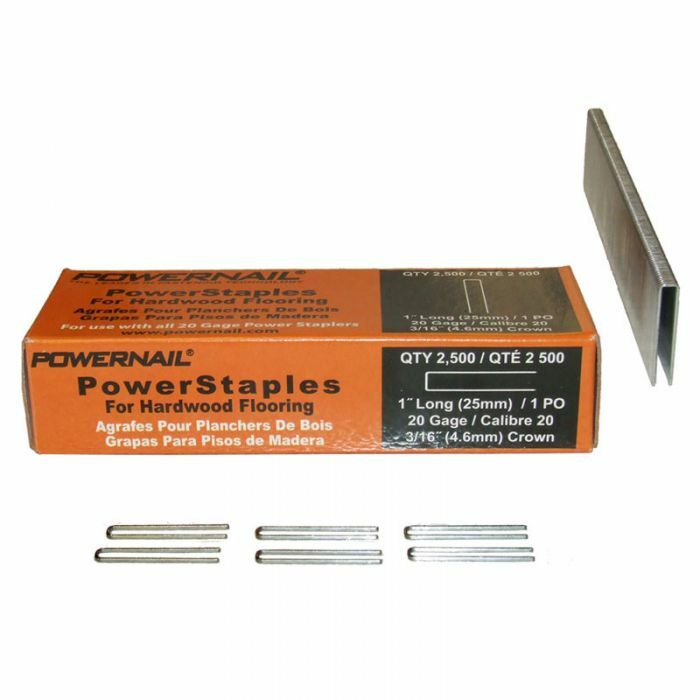 Powernail 20 gage staples, 1" Leg (25 mm), 3/16" (.1875) crown. Each carton contains 2,500 staples. For use with the Model 20FS Pneumatic Stapler. Coverage: Approx. 350 square feet per 2,500 count box.